High definition has quickly become the standard in gaming and movies. 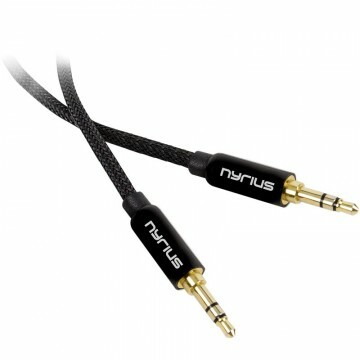 Ensuring that your favorite content remains crystal clear and connected is heavily dependent on the quality of the cables. 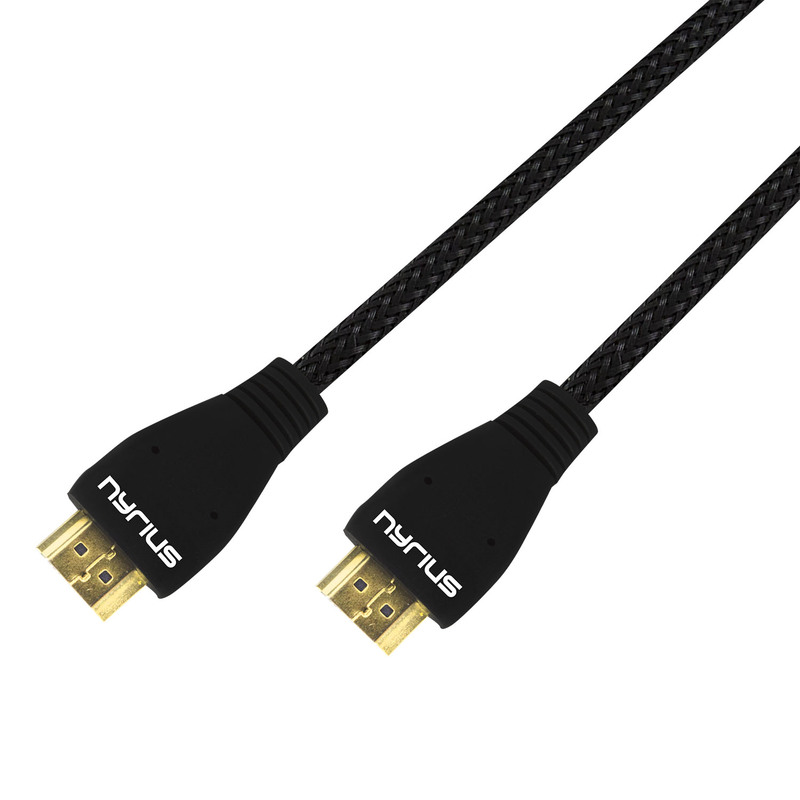 The Nyrius HC06 offers a pro-grade 6ft HDMI cable constructed to withstand repeated usage between any of your HD devices. 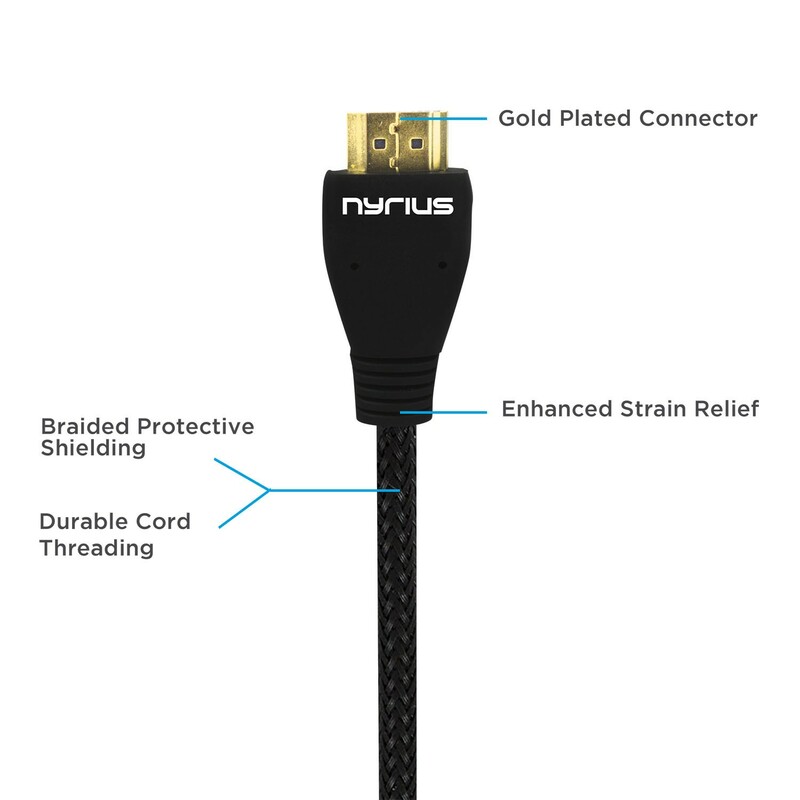 Easily connect your laptop to your HDTV and enjoy Netflix, YouTube, Hulu and any other streaming service using this cable. See every last detail in the movie you’re watching in stunning 1080p high-definition with this pro-grade HDMI cable. You'll marvel at the crisp, clear picture and sound. 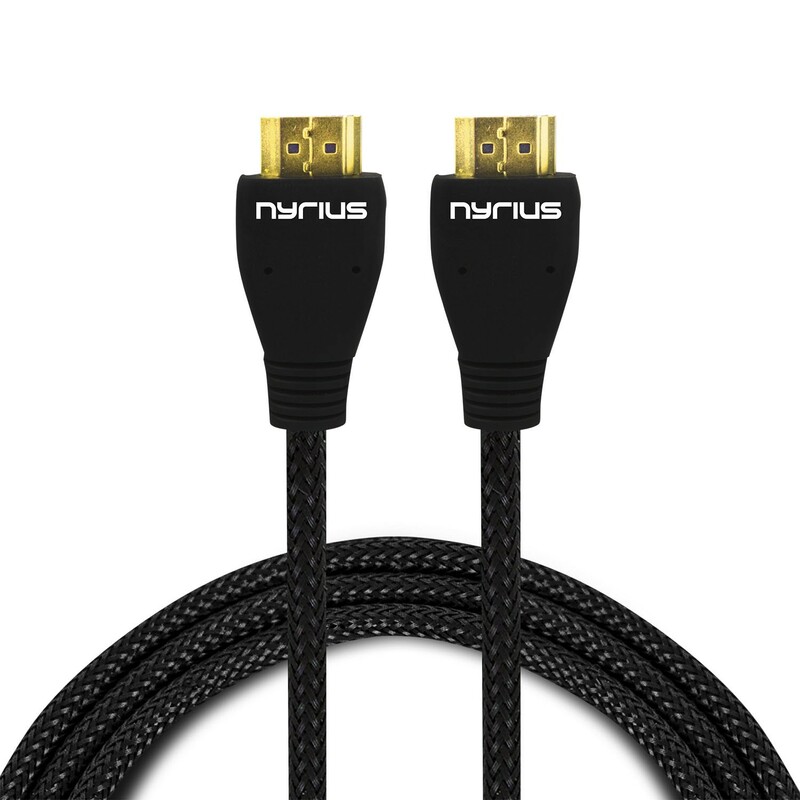 HDMI high speed 1.4 means this HDMI cable is certified to support 240 Hz refresh rate, transfer rates of up to 340 MHz/10.2 gps, 48-Bit Deep Color, 3D and is also compatible with previous HDMI standards so all your HD devices will work. 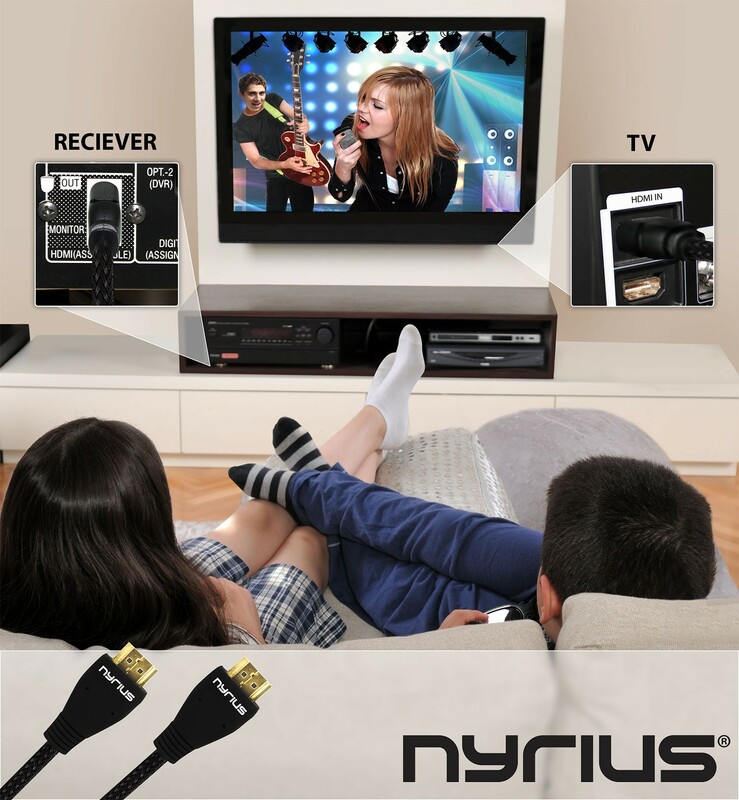 It also supports Audio Return Channel (ARC) which sends audio data to the home theater receiver eliminating the need for any separate audio connection. Lastly it includes Ethernet capability for sharing internet between HDMI devices. 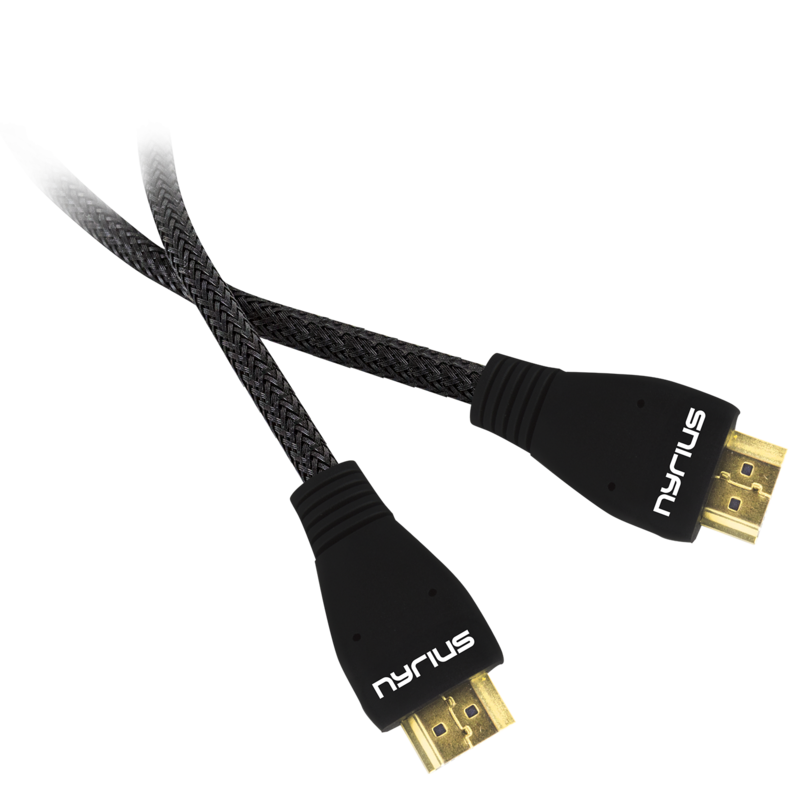 Supporting Dolby Atmos, TrueHD, Digital 7.1, & DTS-HD Master Audio, the Nyrius HDMI cable results in enhanced performance from your home theater system. LED/LCD/plasma HDTV, Projector, A/V Receiver, Laptop, PC, Apple TV, Roku, PS3/PS4, XBOX 360/XBOX One, Satellite/Cable, Blu-ray, DVD and any other HDMI device.